Sometimes a sudden deceleration injury in a vehicular accident produces a tear in the aorta. This usually happens just distal to the great vessels. If one's parachute fails to open, the tear is usually at the root of the aorta. 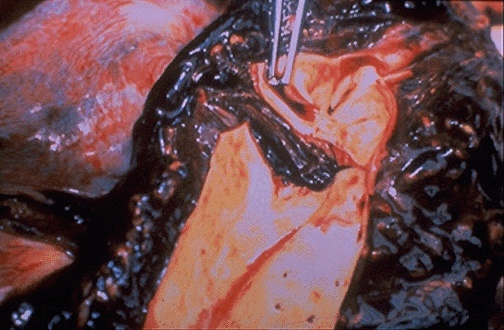 The tear leads to sudden loss of blood into the chest and subsequent shock.